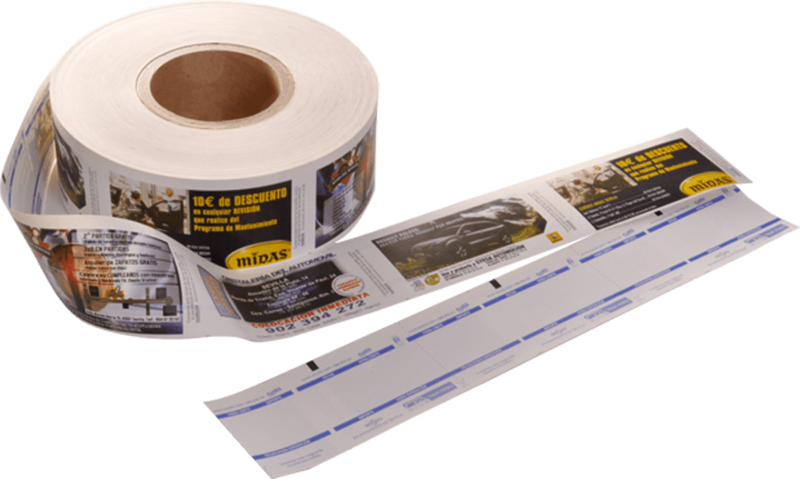 Rolls for parking meters and automated cash machines, made in rolls of thermal paper for their later printing in ticket machines. Our commercial technicians will advise you about the best solution and finishes according to your needs. The option of two-sided printing in the parking meters roll acts as an advising support: It facilitates the brand dissemination. It allows advertising campaigns, discounts and promotions. In Ovelar we know the importance of colour, essential to represent a brand and the image you want to transmit, so we are very careful and we guarantee the quality and the finish. 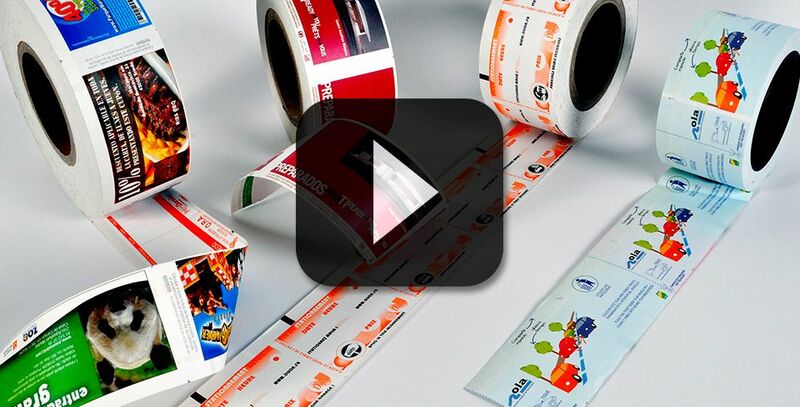 Flexography printing up to 10 colours. Pattern printing on the roll (according to the metric need of the customer).